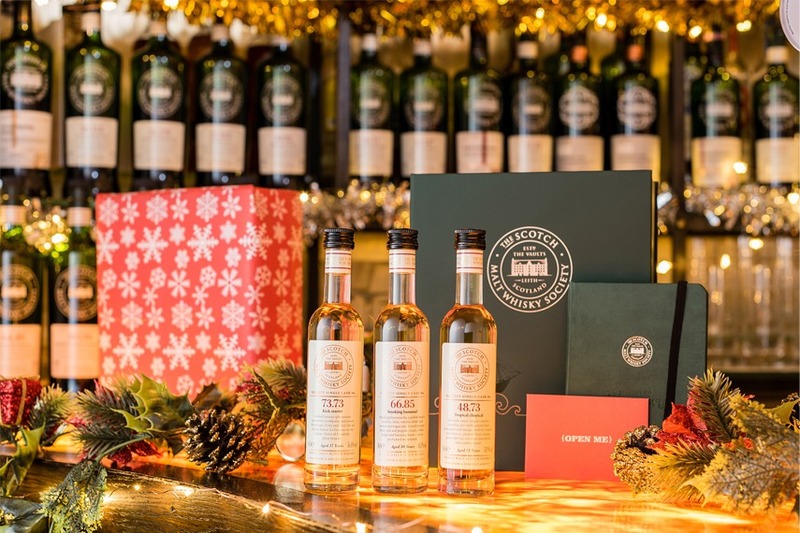 Slippers, socks and cardigans just won’t cut it for the whisky fan in your life, send a loved one on an endless journey of discovery with the The Scotch Malt Whisky Society this Christmas. Gifting membership of the SMWS provides access to the constant supply of one-off single cask, single malt whiskies, exclusive tasting events, and unparalleled expertise. Annual membership and renewal is £65, but the SMWS offers a range of options for new members up to and including its Pioneer Welcome Pack at £130. It’s the perfect Christmas gift, coming with a beautiful presentation box containing three 10cl sample bottles of Society whisky to get started, a £15 e-voucher, entertaining SMWS journal and a club lapel badge to start wearing with pride. The SMWS is always welcoming, treating members new and old with the same warmth and respect as you would good friends. At member-only events you can discover intriguing malts with fellow whisky admirers. The SMWS is firmly of the belief that its unique malts are best appreciated when shared with friends. Every individual cask of whisky matures in its own way, and if the name on the Society’s label seems unusual, it’s because the whisky is too. The SMWS bottles from a single cask when its Tasting Panel decides the whisky is ready, and each cask provides a finite number of bottles for members to buy. Once they’re sold-out, they are gone forever, flavours never to be repeated. If you’re looking for a one-of-a-kind malt experience, the SMWS is the right place for you. In the UK, the SMWS has its spiritual home at The Vaults in Leith, Edinburgh as well as Members’ Rooms at 28 Queen Street in the city centre. In London, the SMWS has a members-only venue at 19 Greville Street and recently opened a new pop-up at 78 Northcote Road, Clapham, where guests can experience a range of single cask whiskies and other spirits as well as a selection of fantastic food. SMWS partner bars are every bit as extraordinary as the Society’s malts. With nearly 100 worldwide locations, they’re the perfect place to share a dram of one-off single malt Scotch whisky. The core annual membership of the Society costs £65 and provides whisky lovers with benefits including discounted dram prices at SMWS partner bars; free subscription to Unfiltered, its award-winning members’ magazine; and savings on postage and packaging of bottles. whisky and discover your favourite flavour by exploring five 25ml single cask Society samples. An accompanying tasting hosted by master ambassador is available online to help you get the most out of these specially selected drams. To buy membership to The Scotch Malt Whisky Society as a gift this Christmas, visit the website.